For several years now, Lake Conroeâ€™s supply of largemouth bass and crappie and its comeback as a major Texas fishery have been discussed by scientists of the Texas Parks and Wildlife Department and other biologists across the state. 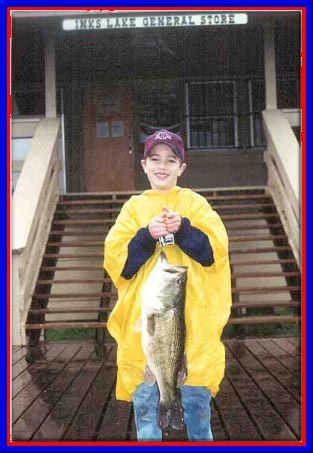 The Lake Conroe Restocking Association was implemented as a way to guarantee an abundant supply of game fish for the lake. 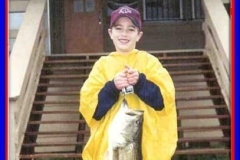 At a meeting held at Stow-A-Way Marina on May 7, 1995, Mark Webb of the Texas Parks and Wildlife Department noted that the restocking program was successful in bringing back a dying population of crappie, but the restocking of largemouth bass had not been sufficient. 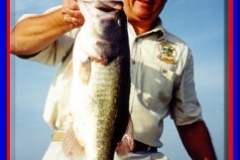 Webb says the TPWD is â€œtrying to put Lake Conroe back in as good a position as possible trying to maximize the fishery.â€ To this end, the TPWD plans to assist the LCRA by stocking a total of 525,000 largemouth bass fingerlings in the lake in the Spring of â€˜95 and again in the Spring of â€˜96. 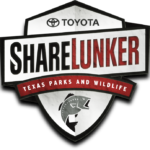 In an effort to make the lake â€œa better open water fisheryâ€ and to give sportsmen another fishing target, the TPWD will also stock 210,000 hybrid striped bass in Lake Conroe. 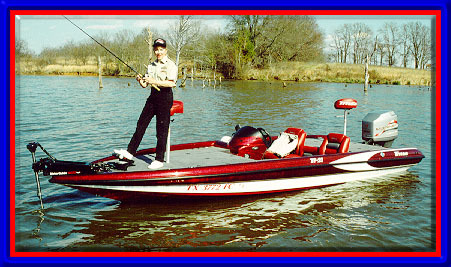 Crappie will also be monitored by the TPWD and the agency will advise the LCRA whenever more stockings are necessary. 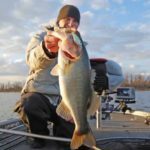 Another problem that affects the fish populations on the lake was discussed at length. The problem, according to Webb, is the lack of aquatic vegetation in the lake. 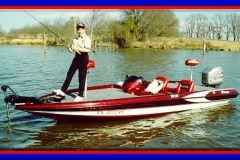 What Lake Conroe needs, he said, is â€œjuvenile fish habitat on this lake.â€ In the early 1980â€™s, landowners around the lake saw the over-abundance of Hydrilla in the lake as a hazard to recreational boaters and were able to convince the TPWD to put a supply of grass carp in the lake. The grass carp were chosen because they would eat the Hydrilla, but they also ate other native plant populations. This eliminated the chances of younger fish to hide from their predators and eliminated a major source of food for fish, subsequently reducing the numbers of all fish in the lake. Webb feels the grass carp are dying or at least aging and not eating as much. He thinks now would be the time to re-establish native aquatic vegetation. Also present at the meeting was Dr. Michael Smart of the U.S. Armyâ€™s Corps of Engineersâ€™ Lewisville Aquatic Ecosystem Research Facility (LAERF). 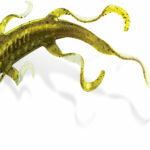 Dr. Smart is an aquatic plant biologist who has been studying aquatic vegetation for 20 years. He and his associates have been working on aquatic vegetation problems in other lakes throughout the country such as Lake Onondaga in New York, Lake Guntersville in Alabama and Lake Lewisville in north Texas. He agrees with Webb that the time is right to start re-vegetating Lake Conroe. According to Webb, the TPWD will implement a program to re-establish aquatic vegetation in Lake Conroe with the technical advise of the scientists at LAERF. Funds for the program will be provided by the LCRA, who will also provide the manpower necessary for re-vegetation, and matching funds will be obtained by the TPWD from private and government sources. Dr. Smart desires a diverse community of native plant species for re-vegetation in Lake Conroe. 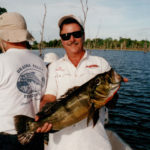 He hopes by establishing several non-problem native plants, he can reduce the incentive of fishermen to plant their own Hydrilla and starting the problem all over again. 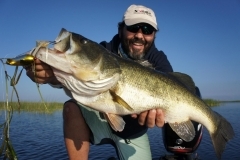 He recognizes the establishment of Hydrilla as a very real threat and warns the lake area of a need for a â€œHydrilla early-detection systemâ€ whereby the plant can be found and quickly destroyed. Hydrilla is an exotic plant that multiplies to a point where it can choke a lake, killing other native plants and whole fish populations. It also becomes a nuisance to boaters, water-skiers and swimmers. Developers despise it because it can make otherwise ideal lakefront property unappealing to potential buyers. Eventually, if allowed to grow unchecked, it can kill a lake. The plant biologists of LAERF recommend a variety of non-problem plants to use in re-vegetation. These include wild celery, stargrass, the American lotus, muskgrass, American pondweed and cara. A group that included Dr. Smart and Mark Webb were setting out to begin their plans for re-establishing the vegetation the following morning, starting with the north end. They were to look for desirable plant seed and places to establish caged plots where the growth of the plants can be monitored. The entire process can take several years. Dr. Robert Doyle is a research scientist from the University of North Texas who is conducting research at the Lewisville facility. He was on hand at the meeting and added, â€œnature herself could be relied upon to do the landscaping.â€ Dr. Smart is confident that plants will grow in Lake Conroe. If the research group can get some test plots out this year, he says, they will know by the end of the year what will grow and what the next step will be. Phil Durocher, the director of the TPWD Inland Fisheries Unit, was also at the meeting. He spoke in favor of the plan, noting that Lake Conroe was the first lake to use grass carp as a method of controlling the overgrowth of aquatic vegetation, so it should also be the first lake to take advantage of this habitat enhancement program. â€œThis project is where we need to go.â€ Now all Lake Conroe needs is the help of everyone who uses the lake to work together with the TPWD and these scientists. 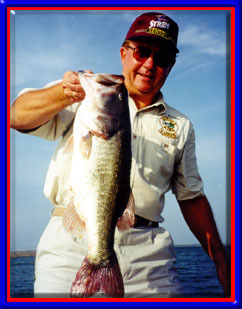 Someday soon, Lake Conroe can once again rank as one of the stateâ€™s best fisheries.